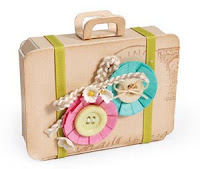 Thanks for stopping by this leg of the Sizzix Vintage Fresh Blog Hop. 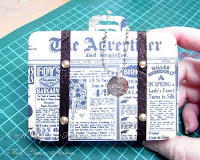 It's week 5 of the 6 week blog hop and Designers on this leg of the hop are using the Sizzix ScoreBoards XL Die - Bag, Suitcase (Item #657124). I got to have a little play with this die a while back and created bonbonnières for my Dad's 80th birthday party. You can see how I put the suitcase together in this post. 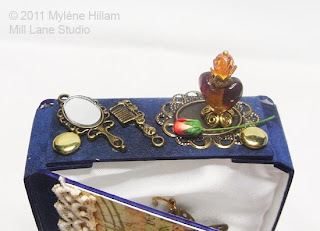 This time around, I've created a jewellery gift box for a pin made with a Katiedids component, one of the supporting manufacturers of the blog hop. The box is constructed from an offcut of velvet matt board which I found at a local framers. Matt board is such a sturdy material but the Sizzix ScoreBoard dies have no problem handling such a thick material and cut through it like butter. The instructions for assembling the box are very simple and you can download a step by step pdf from Sizzix. I didn't use the handle or the lid tab for this project. I've decorated the box with paper from Pink Paislee (Botanical Gardens 00441) and a silhouette transparency from Hambly Screen Prints (Portrait Gallery). I wanted to create an olde worlde feel and tea-dyed lace fitted nicely with that theme. I chose a selection of charms to embellish the silhouette which added to the mood of a ladies boudoir. On top of the box is a miniature dressing table complete with mirror and comb from Madame Delphine's collection (Blue Moon Beads BM19249) and a perfume bottle made of beads and jewellery findings. 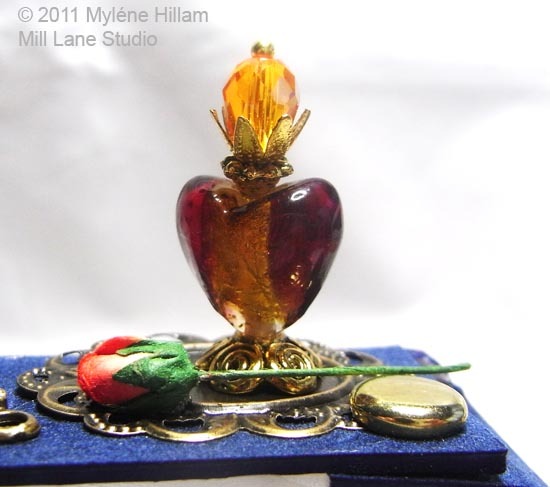 I love making these miniature faux perfume bottles and I usually turn them into pendants but this one sits elegantly on a brass tray with a little rosebud. For this blog hop, I also had some Beadalon Katiedids components to work with. The channels of these components are just big enough to hold 4mm round pearl beads. In the centre of the donut component I added a small image which I covered with 3 layers of Magic-Glos. Each layer was cured under a UV lamp before adding the next. Once cured, I attached the donut to a filigree flower with metal adhesive before adding some teardrop pearl beads to the 3 lower petals. Then the whole ensemble was connected to the pin with a jump ring. 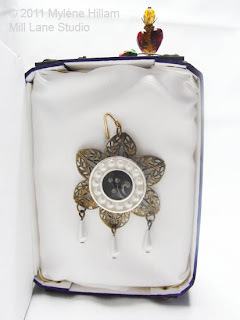 To keep the pin sitting in place inside the gift box, I cut a piece of polystyrene foam to size and wrapped it with white satin.... a simple display solution but a perfect background to stick the pin into! 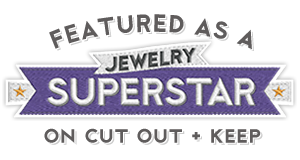 There's a whole lot more you can do with this die so check out the blogs of the other designers and bloggers participating in the hop by clicking on the hop forward button in the sidebar. And If you'd like a chance to win the Flower, Layers #9 die from one of the earlier hops, please stop over at Oh My Crafts blog and answer the "Hop Question of the Day". 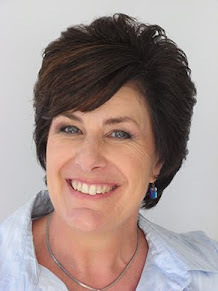 Mylene- what a cool project. Those little perfume bottles are amazing. Love how you made it like a ladies boudoir- that's just what came to mind as I was looking at it. Also great project you did for your dad's birthday- I love how you made it personal by adding the newspaper from the day he was born. Beautiful- so glad you could join the hop! WOW this is soooo cool! I love that you have set up a miniature boudoir table top there...talk about awesome! This is absolutely lovely! Cool velvet mat board, too! wow, so very beautiful, love how you did this! Mylene, I love this project. It is just beautiful! Great job! wow I want one I love what you have done. beautiful. I love the color amd the papers and all the embelishments. thanks for sharing and for the chance to win. Wow, Mylene, this is crazy beautiful! You totally transformed the look of the suitcase die. This is adorable Mylene. 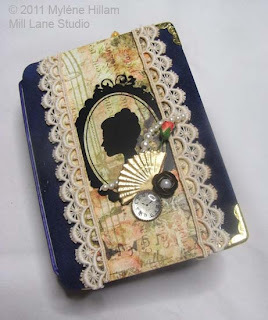 I love how you used the metal corners on the edges..looks fab! This is a work of art-huge WOW! Good to know that mattboard is available in a velvet finish, and it's perfect used here for your project. 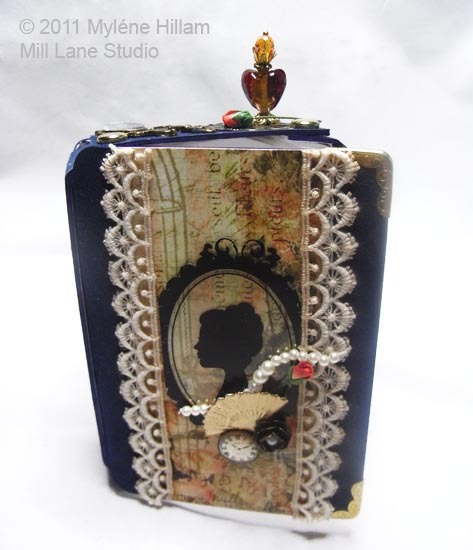 I love the sweet, miniature embellishments, too. 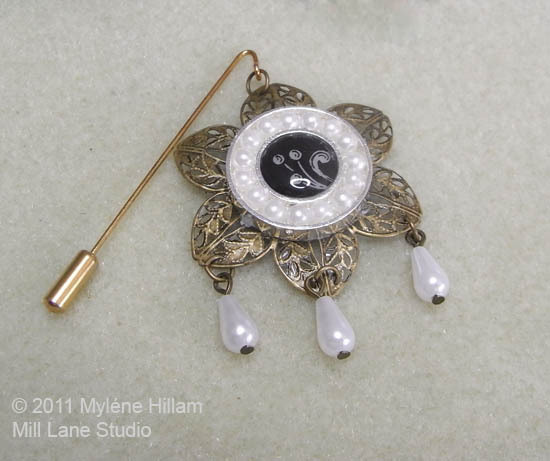 Hi Mylene, these are just gorgeous and being of an age where drop earrings are not appropriate I like the Moondrops and Pearl drops. Thank you for the opportunity. What a nice project and very creative as well. Simply a work of art. 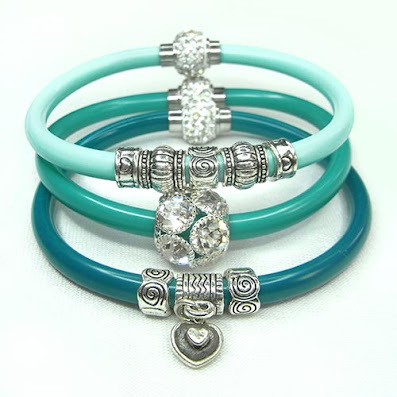 Moonlight and Pearls - A chance to win!